Regardless of the industry you work in, having the right pair of work boots is essential. 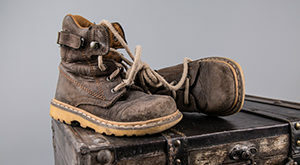 High-quality work boots keep you safe in a number of different ways, most of which go unrealized until an accident happens. 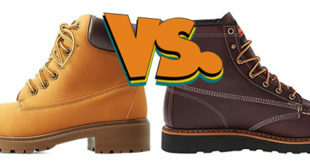 While most industries require a common supply of safety gear, work boots are unique in the fact that the most subtle difference can make all the difference. There are a plethora of different types of work boots on the market. Boot manufacturers incorporate unique safety features into each model. It’s important to choose a pair of boots based on the job you’re doing. To ensure that you choose the right work boots for your particular job, you need to assess the job you perform and the environment you work in. Understanding the risks of the job will help you be better prepared to choose the appropriate pair of work boots and stay safe. Work boots are designed to keep you protected from a variety of different issues on the job. Most boots combine multiple different protective qualities into a boot to provide versatile use. These different types of protection are often thoroughly tested to meet or exceed ASTM standards and other regulations. Here are the different types of safety features built into boots and how they work. 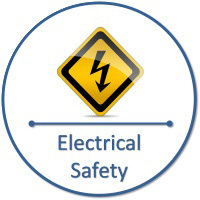 If you work around high voltage equipment or conductive materials, shoes with electrical safety measures are a must-have. They can prevent accidental shock as you walk through the work environment. These boots have a sole made from a non-conductive material like rubber. The material will ensure that you don’t complete a circuit. 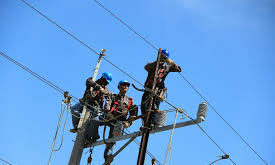 Without proper protection, accidental contact with a stray wire will cause the electricity to flow through your body. These work boots prevent that from happening to keep you safe. 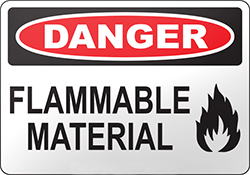 While electrical workers need to wear non-conductive shoes, those working around combustible substances need the opposite. As you move, static electricity builds up in the body. With a single touch, that static electricity could create a spark that ignites a flammable substance. To avoid this, some work boots have soles that are electrically conductive. The small amount of static electricity will transfer to other items in the environment, preventing a buildup and eventual release. 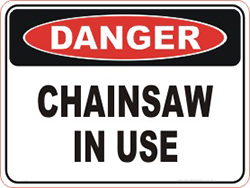 Fast rotating blades like chainsaws and circular saws pose an immediate threat to your safety. Contact with the body will result in potentially dangerous injuries. To protect your feet from gruesome mauling, these work boots are made from a tough material that’s resistant to tears and abrasive damage. The material essentially creates a protective barrier against your foot and the sharp blades. They should be worn with other cut-resistant gear. Foundry workers are typically exposed to molten metal that is several thousands degrees hot. This molten substance can burn directly through a normal shoe, resulting in severe burns. To protect foundry workers, many manufacturers incorporate extra safety precautions. Heavy insulation protects from the immense heat while careful design ensures that hot substances don’t get caught in the shoe. Quick-release features are good for removing shoes in the case of an accidental splash. To protect your toes from falling objects, many boots are made with a durable cap. Manufacturers will use a few different types of caps to provide varying degrees of protection. The most common are steel. Caps create a durable shield around the toes to prevent crushing. They often have a specific rating to determine the load they can safely hold and protect your from. Many work sites are riddled with sharp objects on the floor like nails or glass. With ordinary shoes, these objects will puncture the bottom sole and penetrate your foot. 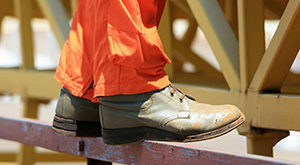 Quality work boots provide protection with a steel or composite plate. This plate is durable enough to prevent punctures and provides a thin layer of protection. It’s typically placed on the midsole. 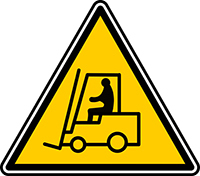 Heavy objects in the workplace can cause a similar type of damage to falling objects. However, heavy objects also pose the threat of rolling or sliding on top of the foot. To protect from this, additional shielding is needed. Work boots for these jobs need to have some metatarsal protection that extends far beyond the cap. The steel or composite barrier will prevent your foot from being crushed. 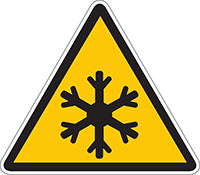 Work in colder weather conditions put you at risk for hypothermia and frostbite. While most guys remember to bundle up for warmth, it’s not uncommon to see the feet be neglected. Insulated boots will help to keep the feet and toes warm. Thick insulation prevents the loss of body heat while preventing the cold weather from getting in the boot. 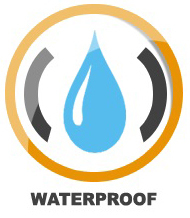 Water or other liquids entering your work boot is not only uncomfortable but also dangerous. Moisture will bring down your body temperature and make you more susceptible to issues. Moisture resistant work boots are sealed to prevent accidental splashes from penetrating. This helps to keep your feet dry, warm, and free from mold and bacteria. One of the most common features of work boots is slip resistance. 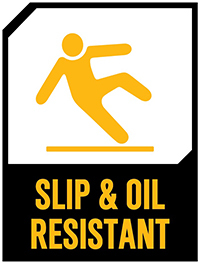 Whether it’s water on smooth pavement or oil on tile, slipping is something that occurs far too often in the workplace. 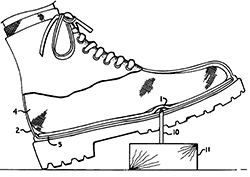 Boots are designed to prevent dangerous falls with their unique sole designs. The soles redirect the liquid and reduce the surface area of the sole that makes contact. This decreases the boot’s slickness. Comfort and support should never be overlooked. 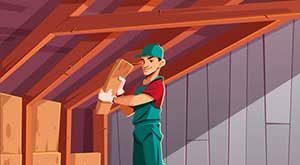 If you have to stand up or move for prolonged periods of time, you’ll want to look for a pair of work boots with ample padding. Manufacturers strategically place gel padding and foam cushions throughout the foot to relieve the stress on your joints and prevent pain later on. They also have excellent arch support to ensure that your feet are in a safe position for standing. While it may not seem like a big deal at first, all-day comfort can save you from immense pain and potential health issues in the future. Safety hazards are all around you in the workplace. To better prepare yourself for the rigors of the job, you need to identify the various dangers and choose boots that will keep you safe. You should never skimp on quality, comfort, and safety to save a few bucks. Great work boots are a worthy investment that you’ll be thankful you made. Do objects around the work environment often fall? Is the ground littered with sharp objects that could potentially penetrate the bottom of your shoe? 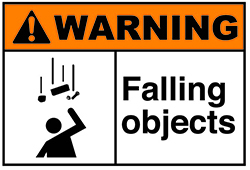 Can falling or rolling objects pose a threat of crushing or harming your entire foot? Do you or your coworkers operate machinery with spinning blades that could possibly cut your shoe, such as a chainsaw? Are surfaces in your work environment ever covered in water, oil, or other slippery substances? Are chemical substances or acids used in your work environment? Do you perform maneuvers at work that could possibly lead to a sudden twist or sprain of the ankle? 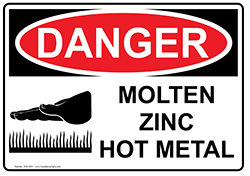 Do you work around high temperatures or molten metal? Are you exposed to extremely hot or cold temperatures? Are there any substances in the workplace that could cause skin irritation? Do you work in healthcare or any other profession that deals with dangerous biohazards? Are you required to stay on your feet for prolonged periods of time? Is your work environment ever wet or damp? Do you have any existing health concerns like diabetes or plantar fasciitis that could potentially be irritated or worsened due to activities on the job?